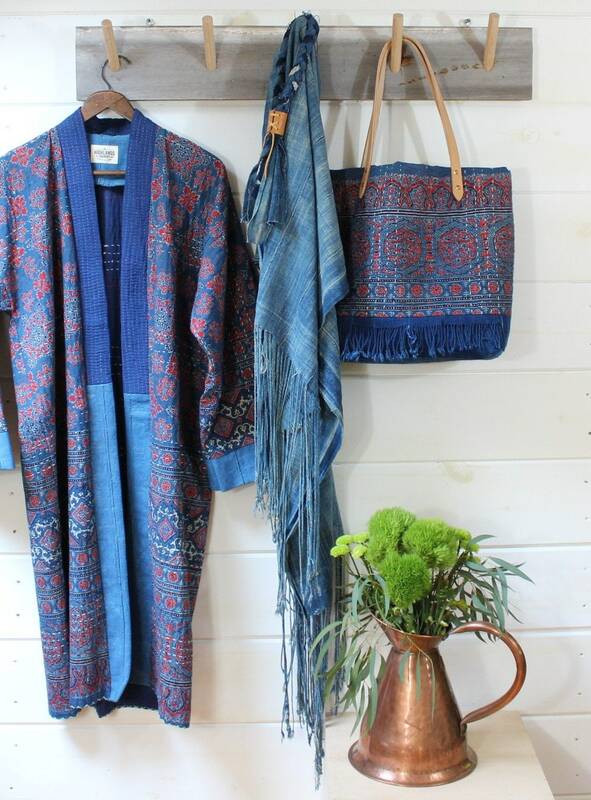 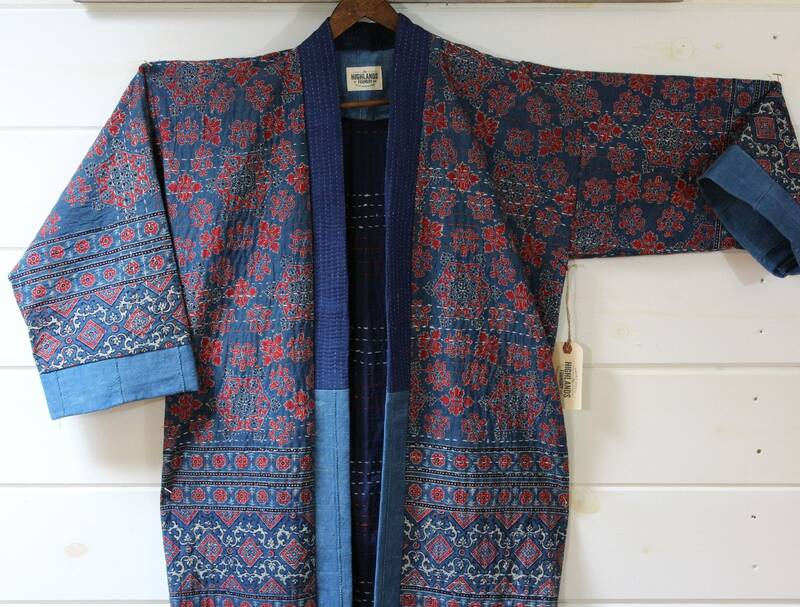 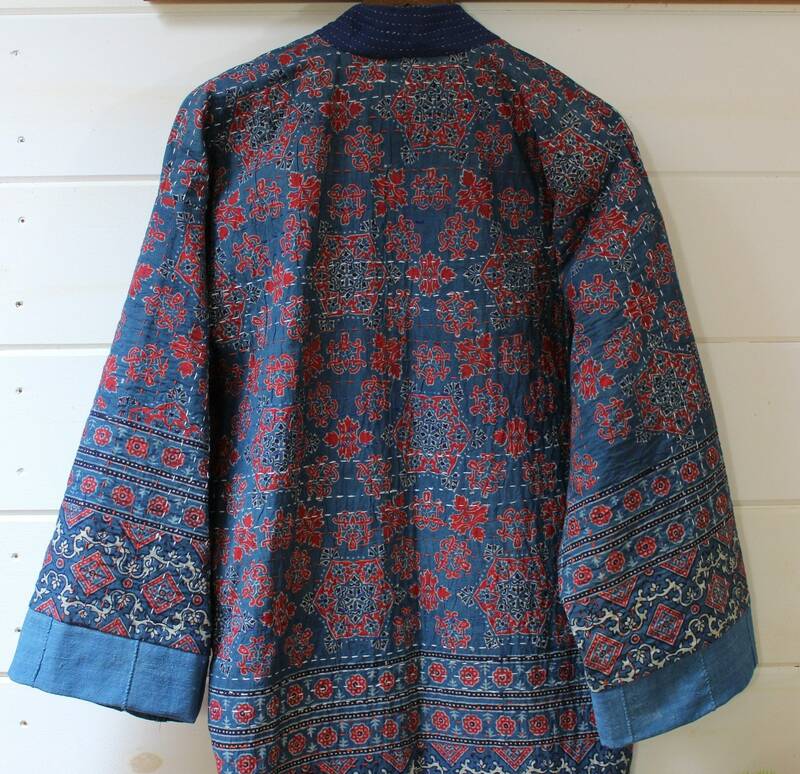 We used this handstitched Kantha Quilt from Jaipur India to create this one of a kind jacket. 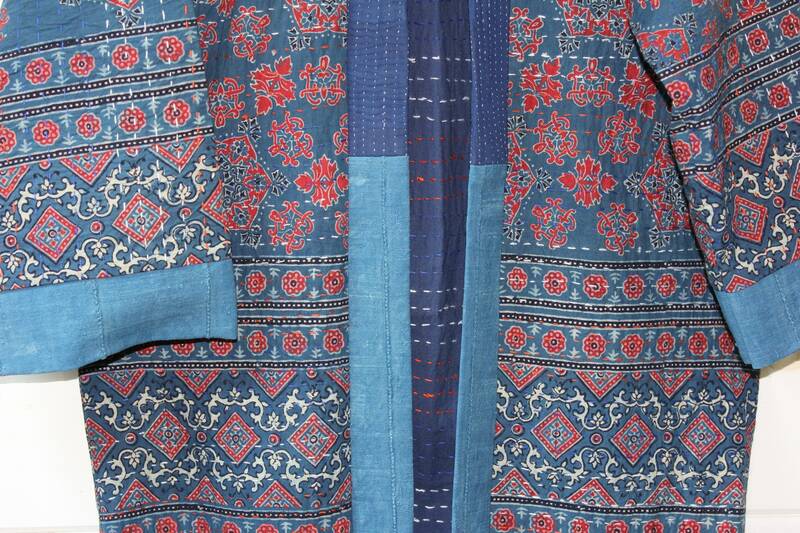 The quilt is a traditional handstitched design that is made by women in Jaipur. 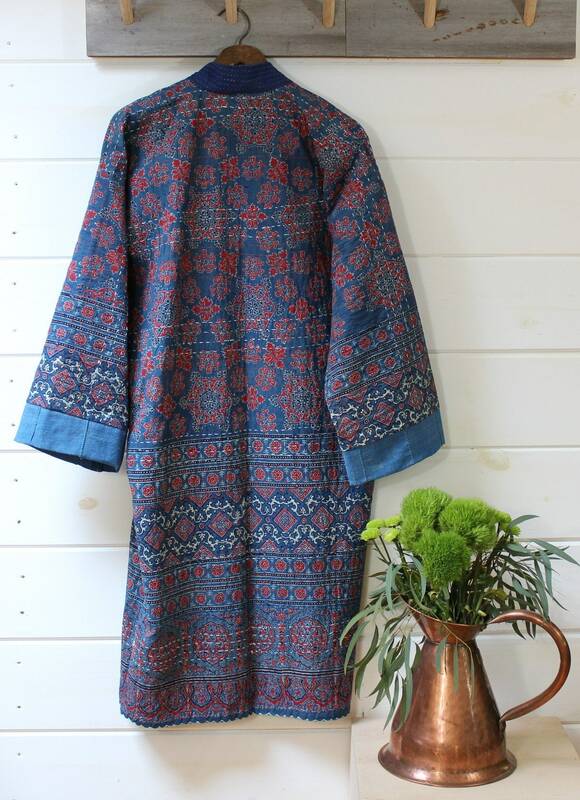 The block print design is a beautiful multi colored paisley type style print that is so amazing. 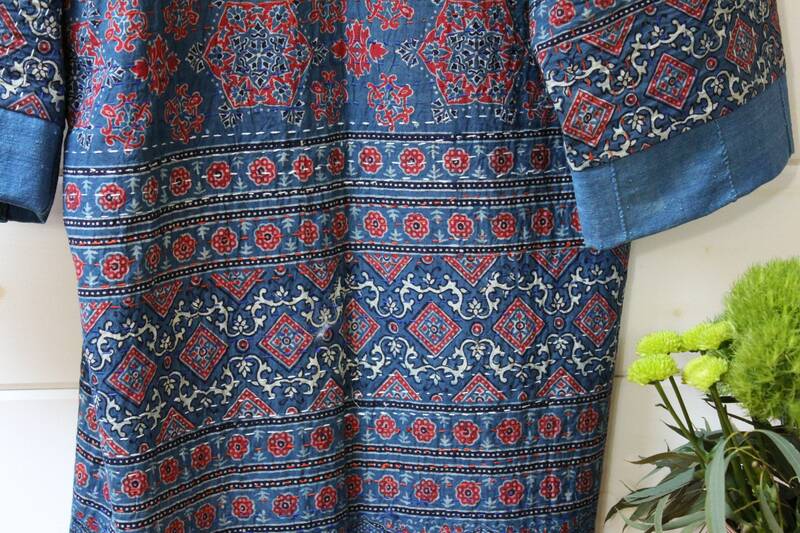 The back side of the quilt is a solid navy blue colored cotton that is handsititched to the front printed fabric creating this beautiful quilted fabric. 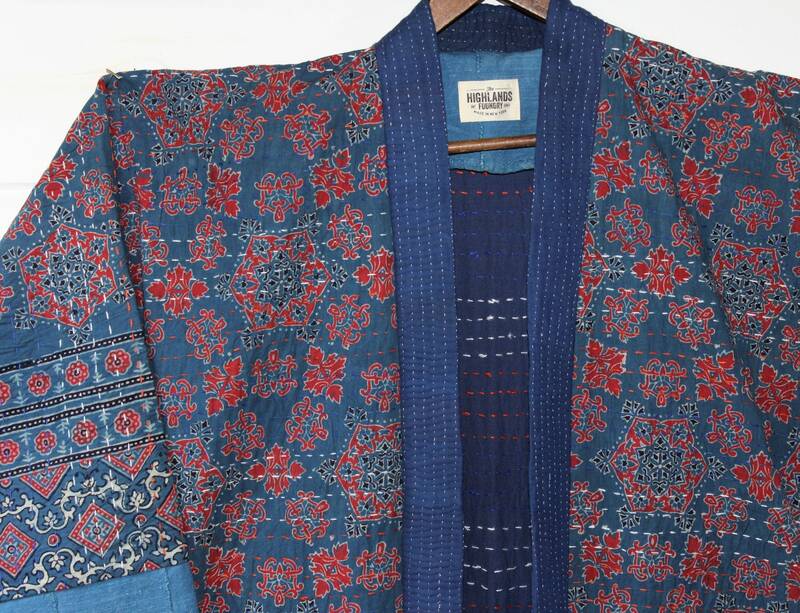 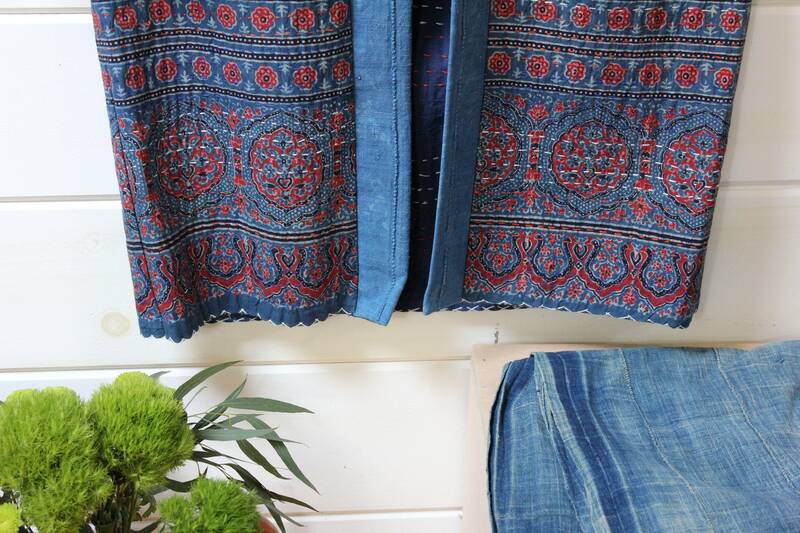 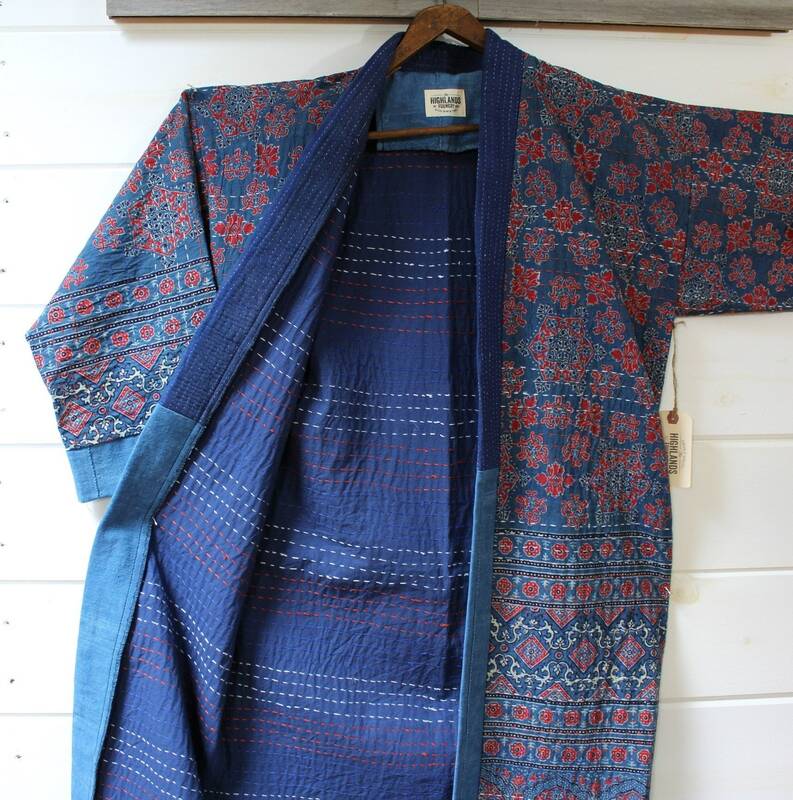 We combine the Kantha quilt with vintage Inidgo Mud Cloth fabric to create the Jacket. 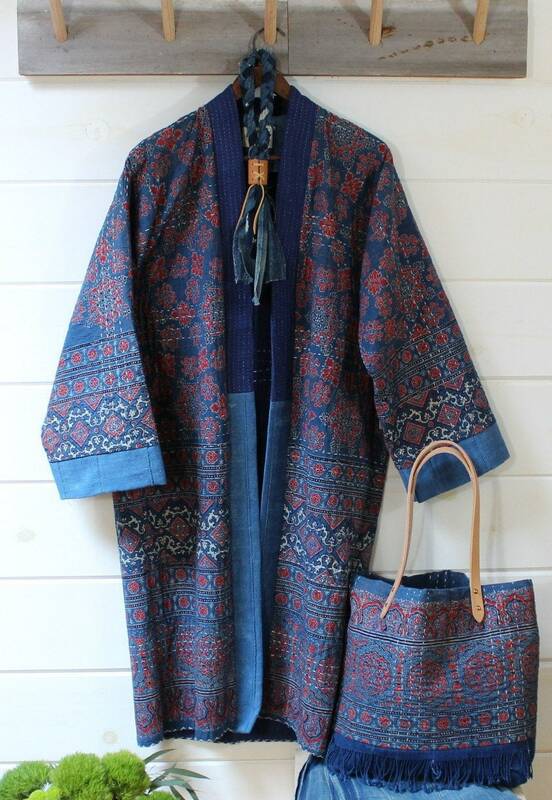 The jacket is one size fits all and looks great on lot's of different sizes and body types.